Our brewery tour experience takes approximately one and a half hours. The tour includes a complimentary drink in our Pin Room, a tour of the brewery where you can taste the malted barleys, have a sniff of the hops, and see the fermentations bubbling away in the TunRoom. Includes free bottle or Ringwood beer & glass! (adult tickets only) We are unable to accept children under the age of 8. Please call for evening brewery tour prices. For large parties (10 or more) or any stag / hen parties, a private tour booking is required. We will send a Tour Voucher so the recipient can book, click here to view our vouchers. Parking onsite at the brewery can be limited, the nearest pay and display car parks is in town, approximately 10 minute walk. There is a taxi rank and a bus station next to this carpark. 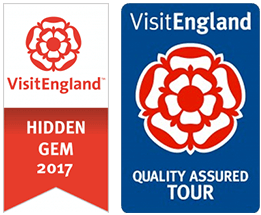 We recommend you try us first as the yard is fairly big and on evening and weekend tours there is very little going on in the yard. Feeling hungry after a tour? We have paired up with local outlets to receive a discount or a pub deal once you have been on a tour. 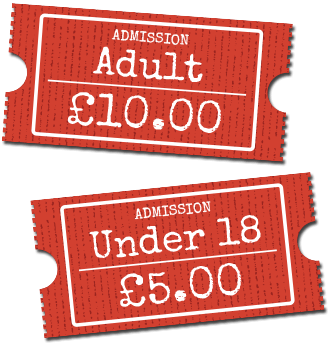 Collect your discounted ticket from your tour guide or shop assistant on the day and hand into your chosen outlet to receive the discount or offer. Terms and conditions: I would recommend you book with venue you have chosen to book your table and let them know you are coming. Some venues are open certain times so please phone to check and book your table to save disappointment and also subject to availability. 15% off Curry Garden (Ringwood) offer excludes take away and dining in on Fridays and Saturdays and on all other offers. See this restaurant on Trip Advisor. 20% The Cellar Bar (Ringwood) closed on Sundays. See this Restaurant on Trip Advisor. 20% The Café Velo (Ringwood). See this Restaurant on Trip Advisor. 15% Lovitaly (Ringwood) open certain times booking essential. See this Restaurant on Trip Advisor. Special offer at the Railway Pub (Ringwood) Pint of beer and burger and chips £12.00 sorry not available on Thursdays from 5pm onwards due to other offers. See this pub on Trip Advisor.